Address: 423887 Republic Tatarstan, Tukaevsky r-n, p/o Khaloshilnenskoye, pos. Belous. National Park Nizhnyaya Kama, in Elabuzhsky and Tukaevsky Districts of the Tatarstan Republic, was established in 1991. Its area is 26,2 thousand ha. The Park is located on both banks of Kama river near cities of Nizhnekamsk, Elabuga and Naberezhnye Chelny. The area is a valley, rising from 70 m (valley) to 165 m (watersheds) above the sea level. The high right bank of Kama is dissected with ravines and gullies. 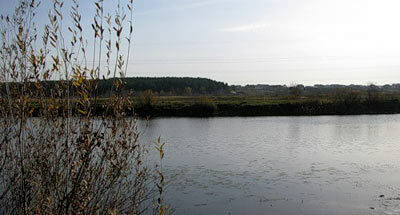 The landscape of the Kama floodplain is of interest — there are a number of overgrown or open lakes of different size. Some of them reach several kilometers in size. There is not much woodland. The bulk of woodland is along the Kama River banks. 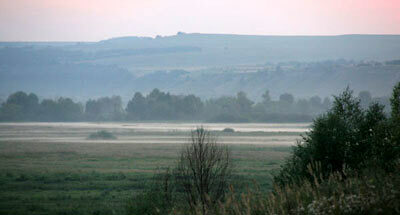 Prevailing are pine forests (65%), floodplain meadows, reed thickets, and swamped willow forests. In the floodplain broad leaved forests are common with an admixture of the linden, oak, and poplar. 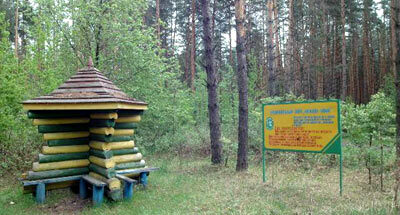 The most valuable forest communities are concentrated at the sites Bolshoy Bor, Maliy Bor, Kzyl-Tau, Tanaika. Among the rare plant species listed in the Red Data Book of the Russian Federation one can find yellow lady's slipper, red helleborine, military orchid, Neottianthe cucullata. Characteristically, taiga and steppe animal species jointly dwell in the Park is noted. Rare birds include the white-tailed eagle, osprey, golden eagle, imperial eagle, saker falcon, peregrine falcon, black stork. On floodplain inundated lakes and mires the mute swan, bittern, and crane nest. More than 20 archeological sites are found near Elabuga (camps and graves of prehistoric people of the 2nd-3ed centuries BC, site of ancient settlement of the 8th-13th centuries). There are memorial sites associated with the artist Shishkin (Krasnaya Gorka, Svyatoy Klyuch).